One “fiscal cliff” remedy favored by House and Senate leaders that President Obama might actually go for is changing how cost-of-living increases are calculated for Social Security recipients. The change has some appeal because it could save $112 billion over ten years. Worse ideas have been tossed Democrats’ way—raising the Medicare eligibility age is one, as TNR’s Jonathan Cohn explains elsewhere on this site. But “chaining” the Consumer Price Index (CPI) is a benefit cut disguised as a technical fix. And if budget constraints require cuts in Social Security benefits, those cuts should be targeted at the most affluent recipients—as chaining does not. Here’s how the CPI is calculated today. Every month the Labor Department’s Bureau of Labor Statistics (BLS) phones all sorts of businesses all over the country to collect prices on roughly 80,000 items divided into about 200 categories. The categories are “weighted” in accordance with nationwide consumer surveys that the BLS conducts every two years; the weighting yields a “market basket,” i.e., a set of goods that’s reasonably representative of American consumption patterns. The BLS massages its monthly information into (among other measurements) the Consumer Price Index For Urban Wage Earners and Clerical Workers (CPI-W). The CPI-W covers 32 percent of all Americans, and it's used to calculate Social Security benefit increases. There are other CPIs too, but henceforth when I refer to the “CPI” I’ll mean the CPI-W.
One longstanding criticism of the CPI is that it doesn’t take into account, on a month-to-month basis, consumer substitutions made in response to price increases. Maybe cheddar cheese is getting so pricey that I’ll switch to American cheese. Or maybe beef is getting so pricey that I’ll switch to chicken. If such substitutions become permanent, of course, that will show up in the next biennial consumer survey. But until that next survey, the CPI will be artificially inflated because it will assume I’m buying cheddar when I’m really buying American, or it will assume I’m buying beef when I’m really buying chicken. Subsequent inflation adjustments will compound the error and inflate benefits even more. The American-for-cheddar-cheese sort of substitution was corrected a decade ago when the BLS, confronted with the criticism described above, rejiggered its method for calculating CPI. But the chicken-for-beef type substitution, i.e., a price-driven change in the category of items purchased, was not corrected. Hence the continual push by right-minded people (including the Washington Post editorial page, and also, surprisingly, the liberal Robert Greenstein of the Center on Budget and Policy Priorities) to switch to a chained CPI. Under "chaining," every month the CPI is adjusted downward in accordance with estimates about substitutions that are being made. Smaller monthly CPI increases translate into smaller annual benefit increases for Social Security recipients. Setting aside my parenthetical dog food scenario, chaining the CPI sounds reasonable enough, provided it’s done in an even-handed manner. Republicans are keen to chain the CPI for Social Security benefits because that would lower the deficit. They are less keen to chain the CPI for income-tax bracket thresholds--which, like Social Security benefits, are adjusted for inflation--because that, too, would lower the deficit, by making everyone pay a bit more in taxes. (Slow down the rate at which thresholds for higher marginal taxes rise and taxpayers will hit those higher brackets sooner.) According to the Wall Street Journal’s John D. McKinnon, Senate Minority Leader Mitch McConnell, R.-Ky., and House Speaker John Boehner, R.-Ohio, accept this de facto tax increase, but they may have a hard time selling it to rank and file Republicans who already hate the idea that they'll probably have to vote for a rate increase on income above $250,000. Another difficulty with chaining the CPI is that it would have to be accompanied by a benefit increase for the oldest Social Security recipients, because over the long term chaining benefits would dramatically lower benefits relative to what very old beneficiaries receive today, and at a stage of life when one is likeliest to be poor and unable to contemplate working. That might prove a hard sell to the GOP rank and file as well. But let’s say we manage to chain both Social Security benefits and tax brackets. And let’s assume the necessary bump for the oldest Social Security beneficiaries is agreed to. 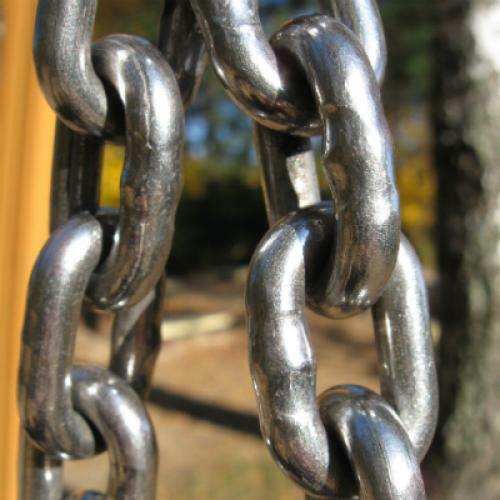 Would chaining really bring Social Security benefit increases in line with spending patterns? Actually, no. Not for senior citizens, anyway. For the elderly, spending patterns are unique in one very significant respect: Old people spend a lot more on health care. Yes, they have Medicare. But they also have a lot more trips to the doctor. As a result, the older-65 set spend a much larger portion of their incomes on health-related expenses than the rest of the population. And health inflation, you may have heard, is increasing quite a bit faster than inflation for other goods. The BLS is aware of that, and has crafted a special CPI just for old people. And guess what? The so-called CPI-E is not only rising faster than the chained CPI; it’s also rising faster than the CPI-W that’s used to calculate benefit increases today. So if a “technical” correction were all that was called for in calculating Social Security, that correction would have to increase benefits, not reduce them. The CPI-E is, at this stage, a bit rough (the “E” stands for “experimental,” not “elderly”). But as Jared Bernstein of the Center on Budget and Policy Priorities (who differs with Greenstein on this issue) points out, “the BLS could whip it into shape if Congress would provide the resources.” But why would Congress want to? It wants to cut Social Security spending, not increase it. When the item being purchased is health care rather than a hunk of cheddar cheese, consumer substitution isn’t really an option. As Rep. Pete DeFazio, D.-Ore., quipped last year on the House floor, “Okay, you can't afford your heart bypass so instead you'll say to the doctor 'look, I can't afford the copay on the heart bypass, why don't you do a hernia instead?'"